They were all heroes . . . Sparked by an indigo sun, Nat Turner stormed into history with a sword in one hand and a Bible in the other. Thirty years before the advent of the Civil War -- in the predawn hours of August 22, 1831, commanding a small army of slaves, Nat Turner led a bloody fight for freedom that shined a national spotlight on slavery and left more than fifty whites dead. For 180 years, the truth of Nat's story has been tainted. Award-winning author Sharon Ewell Foster reinterprets history to offer a new American story of one man's struggle for freedom and the redemption of his people. 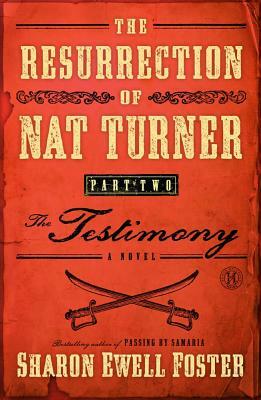 Based on actual trial records, interviews with descendants, official documents, and five years of research, The Resurrection of Nat Turner, Part 2: The Testimony is a story of the quest for truth and the true meaning of liberty.